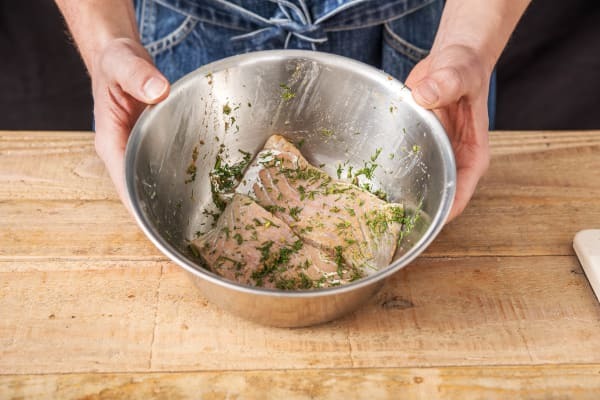 Coley is a great tasting white fish with a similar meaty texture to cod making it a versatile ingredient to use in fresh recipes like this one. 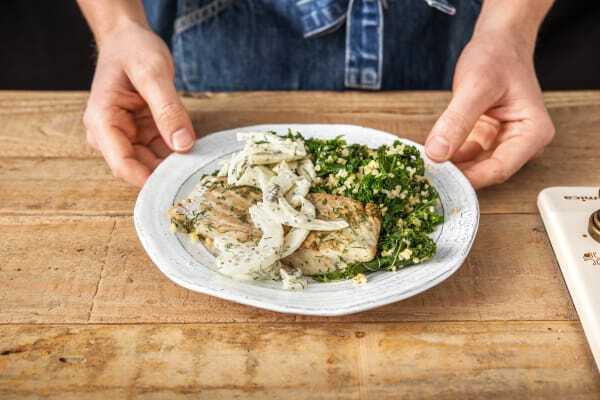 Its flaky texture works brilliantly with the crunchy fennel remoulade which is packed with fibre, Vitamin C and potassium, and the nutty bulgar wheat and kale mix. 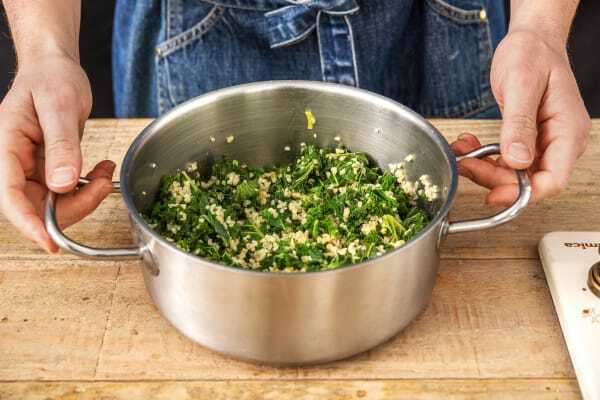 In order to obtain the nutrients from dark leafy kale, and to save time washing up, we’ve steamed it in the same pan as the bulgar wheat and fluffed it up with salt and pepper for a delicious side. a) Pour the water (see ingredients for amount) into a large saucepan with a pinch of salt and bring to the boil. 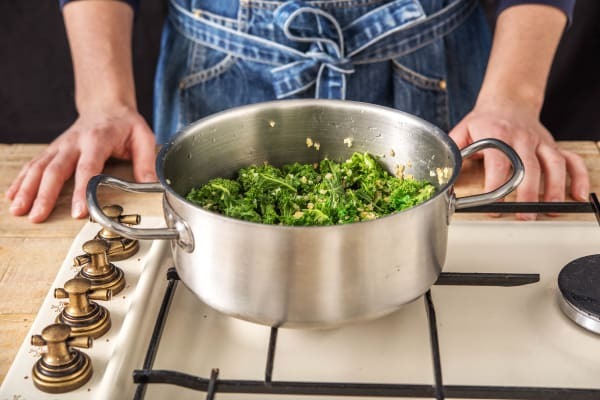 b) Stir in the kale and bulgur, bring back to the boil, pop a lid on and remove from the heat. c) Leave to the side for 12-15 mins or until ready to serve. Meanwhile line a baking tray with foil. a) Zest the lemon then chop into wedges. Roughly chop the dill (stalks and all). In a mixing bowl, combine the lemon zest, ground coriander and half the dill with a pinch of salt and pepper and a squeeze of lemon juice. Add the coley and use your hands to coat it in the mixture. IMPORTANT: Remember to wash your hands and equipment after handling raw fish. 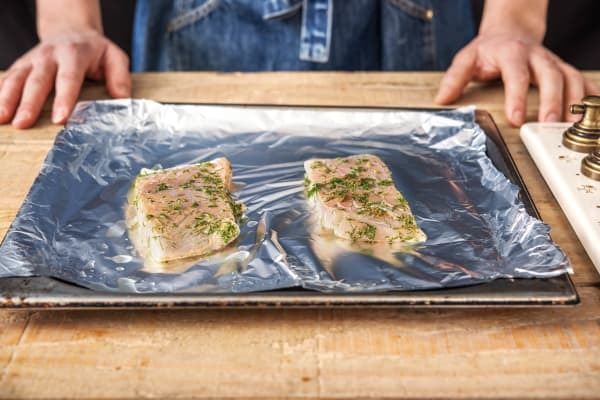 a) Transfer the coley to the prepared tray and grill until cooked, 8-10 mins. IMPORTANT: The coley is cooked when opaque in the centre. a) Meanwhile, cut the fennel in half lengthways, remove the triangle root in the middle (see pic), then thinly slice widthways. b) In a large bowl, mix the remaining dill with the wholegrain mustard, mayonnaise and capers. Add a squeeze of lemon juice. Add the fennel and use your hands to thoroughly combine. Season to taste with salt and pepper. Add more lemon juice if needed. a) Fluff up the bulgur with a fork. Season to taste with salt and pepper if needed. 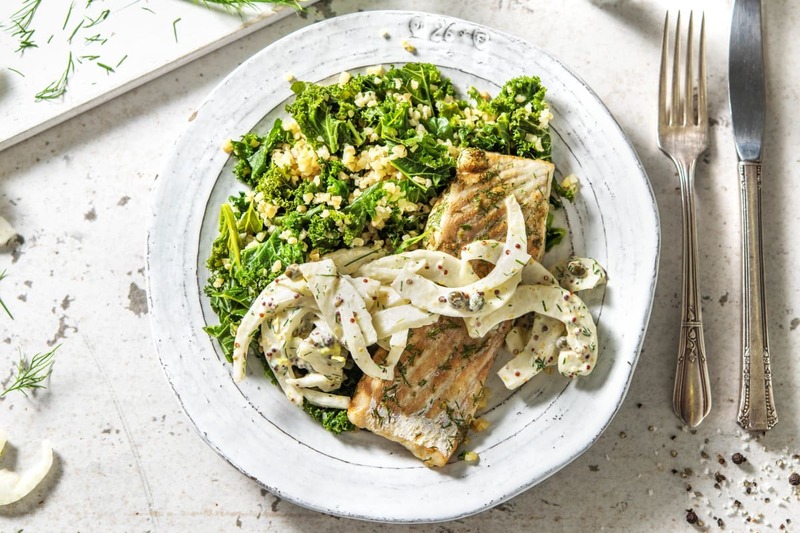 a) Divide the kale and bulgur between your plates and top with the grilled coley. 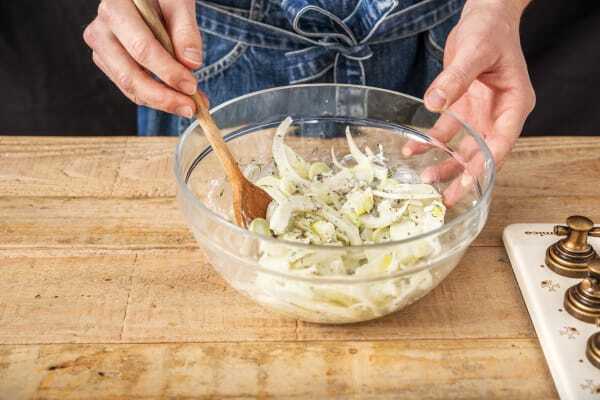 Serve the fennel remoulade alongside.